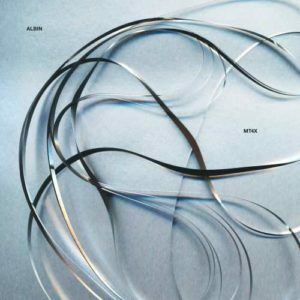 Right after the first tones of Albin’s debut LP on his own label Paltunes, Sweden feels irresistibly as a land of summer, sea and strawberries. Gentle loops of the opener “Sommars” are both inspiring and relaxing, followed by a walk through the stunningly smelling forest, guided by synth bolero and trumpet passages in “Skogen”. The same motifs are added to the blurred contours of melancholic “Prague” and a delicate drone sketch “Havets botten” dips into the chilly waters. The story continues with subtle electronic drumming and merry pads in “Vinterkassetten” and “Januari” that preserve the wellness mood up to the acceleration in “Hemfärd”. For the end, “Under vattnet” navigates adroitly in Cold War seas for a rare moment of serenity amidst daily suspense. Albin, with the surname Johansson, is a musician, composer and producer in Malmö who has appeared on labels like Zeon Light, Rundgång Rekords and Psychic Malmö and has made about a hundred solo performances in Sweden, Germany, Switzerland, Austria and USA. His “MT4X” – the album title comes from a tape recording machine – is an appealing sound creation with DIY touch, well in the footsteps of classic synth artists.